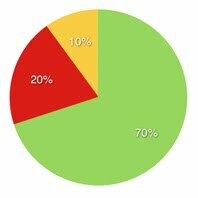 When applied to social media, organic doesn't resonate with everyone. There is a reason it doesn't. It has become one of several analogies that have been distorted to fit any number of new meanings (much like sustainable did). And most of those distortions were all aimed at making fake look better. The original meaning as it was applied to content is much more holistic. Let's stick with its content origin today; the analogy came from food. Applied to blogs, it draws a distinction between processed and organic much like Hollywood draws a distinction between a celebrity and an actor/actress. One is popular; the other has talent. Sometimes, but rarely, one can be both. The Three Types Of Content Farmers. Processed Content. Convenience food is commercially prepared designed for ease of consumption. While often popular, most convenience foods contains saturated fat, sodium, and sugar. They provide little to no nutritional value but tend to have enough flavor to appeal to a mass audience. To keep up with demand, some farmers might use pesticides and chemical fertilizers to speed things along. It applies to social media in that some of the most popular blogs on the Web become automated over time. Their owners have formulas for almost everything they do, including how to pick topics, write posts, and distribute to more consumers. Many of them have a following of distributors; people will promote anything they do regardless of quality. A few of them cut corners. Organic Content. Organic foods are produced using environmentally sound methods that do not involve modern synthetic inputs such as pesticides and chemical fertilizers. They do not contain genetically modified organisms, and are not processed using irradiation, industrial solvents, or chemical food additives. Not only is it better for you, but is tastes better too. The only downside is that it takes much longer to prepare. It applies to social media in that some of the less popular blogs carry superior quality content, with every post being well thought out and original. Sometimes these authors pick up on other people's ideas and expand upon them, but always with their own research and added value. In general, they tend to be equal parts: inspired by offline events and trending topics. The advice they share is almost always grounded in communication strategy. Private Label Content. This is where most farmers started hundreds and thousands of years ago. The results are often mixed. Some gardeners have green thumbs and some do not. There are any number of reasons for the variations. It could be the climate, soil conditions, seeds, talent, or perhaps just never finding whatever it is that they may become passionate about. It applies to social media, with the exception that we can capture a snapshot of where they start as opposed to real farms that are in operation today. Most bloggers start with a few posts, testing various crops to see what what works best for them. If one sticks, they start sowing a field. Not all of these private farmers do, nor will all of them stick with it. The bulk will give up for whatever reason. 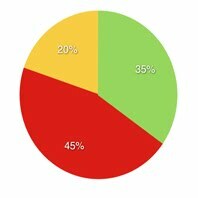 In tracking about 250 blogs, daily, for almost a year, we found something interesting but not surprising. The analogy of processed vs. organic vs. private label fits. It even fits as a mix of the blogs we covered — originally about 100 and eventually about 250. Specifically, about 10 percent of the blogs covered were processed (A List), 20 percent organic (B List) and the bulk, 70 percent, were made up of private gardeners (C-Z Lists). This was not by design. It just happened to break out this way. The original list was compiled from several dozen social media lists that had been previously published by people we knew. From these lists, we built a Twitter list with two purposes. First, all their blogs were reviewed for consideration. 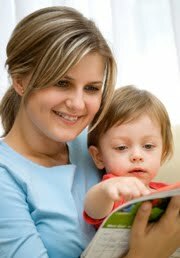 Second, blogs that they tended to recommend with some frequency were also considered. We also added some additional blogs after we were introduced to new authors who wrote guest posts for one of the blogs we were already covering. There was a vetting process. We also did not make any distinction between multi-author blogs and single-author blogs. Instead, we considered these authors a variation of sharecroppers. Or, in other words, they might have been private gardeners but planted a fresh idea on real estate owned by someone else. More people are exposed to their stock, but everybody remembers the blog they write for as opposed to who wrote the content. While this is an extremely rough snapshot (something we'll revisit before any final report), we estimate that more than 50 percent of the content consumers rely on A-List content farmers for information. Specifically, they are popular authors. It's not surprising. Consumers tend to bookmark, friend, follow, and subscribe to people who seem popular. You can only read so many blogs no matter how you stack them. So people gravitate to reading what their friends or associates read, quality content or not. Popular content providers usually have another leg up too. If they speak regularly or have a book published, they attract more followers much in the same way samplers do at supermarkets. Familiarity attracts readers, even if that familiarity is thin. In contrast, private gardeners are very different. Many are happy with sharing content between a handful of colleagues. Most, but not all, believe that once they have found the right content mix that more and more people will eventually place orders, subscribe, and follow them too. They capture approximately 30 percent of traffic. Ironically, many private gardeners are also responsible for sending more traffic to the processed content farmers. It might seem odd, but private gardeners are continually telling consumers who enjoyed their cherry tomatoes to follow the A-lister who inspired them. Conversely, few A-List content farmers credit private gardeners in the same way. Quality Content Comes From Everywhere. While I won't say that every private gardener can produce quality content, I can say that any private gardener with experience and talent is capable, whether they own their own space or want to be a sharecropper. In fact, during the experiment, even authors with no prior experience were frequently picked as having written the best post of the day. It's much like any garden with a talented gardener. You might not find their brand at the supermarket, but you will enjoy the salad they serve. Collectively, although many are hit and miss, private gardeners served up 35 percent of all fresh picks. Sometimes A-List providers can too. Much like every vineyard has select wines, some A-listers maintain the private garden that preceded their massive operations. And occasionally, though only a sliver in comparison to the quantity they produce, you can usually find some quality from time to time. They served up 20 percent of all fresh post picks. 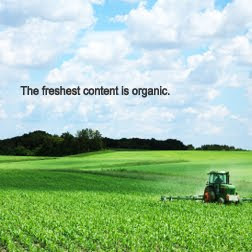 The bulk of fresh content picks came from organic farmers. They generated more than 45 percent of the highest quality posts. And, even when their posts were not "fresh picks," we frequently shared their work as an "also read" pick across various social networks. 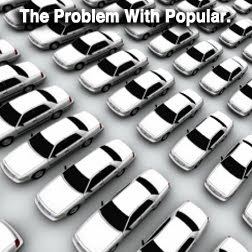 Why Popularity Does Not Produce Comparable Quality. Once upon a time, almost everyone who wrote a blog could be considered a private gardener. But as social media became mainstream, many were faced with a choice much like farmers — automate or retain the quality that made them popular. Some remained private gardeners or dropped out. Some shifted the priorities of their business with more time to expand while retaining quality. And others became automated, propelled mostly by popularity. The tells are relatively apparent. Processed content inevitably includes a post or two or 20 about how awesome the author is or how some lesser blogger picked on them or how they captured 5,000 followers in a weekend or how you have to have as many followers as them to be taken seriously. If posts like that still manage to be shared by 250 people or more, their blog can rightly be likened to processed yellow American cheese singlesconveniently packaged in individual wrappers. While I am not suggesting abandoning the popular communication bloggers outright, the fresh content experiment did find that organic authors invest more time to produce quality content for a significantly smaller audience share. Proportionately, in terms of quality, most people are following the right people. The best place to find quality content is to start stacking the deck with more organic content providers and frequently sampling private gardeners who have the potential (if not the passion) to become organic farmers. The only downside is that it takes a little more time to find them. However, it seems a small price to pay considering we all know what too much processed content can do over time — it could make your entire communication strategy flabby and reactive. This is the fifth lesson from the Fresh Content experiment, which tracked 250 blogs for almost a year. The experiment focused on the quality of the content and not the perceived popularity of the authors. Next week, we'll conclude with a list of picked authors and any plans to produce a short e-book. You can find the same advice all over the Web. 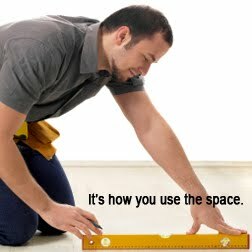 Many people suggest the best posts are about 200-300 words. Some even set the max amount at 600 words. But no worries on the final count; they say keep it short. Short and sweet, even. Ghazal Alvi says it will save time. Bob Anderson says you can turn one post into three. Chris Brogan says brevity rules. Kevin Kane says nobody reads anything else. Scott Williams says he learned it from Seth Godin. Jim Estill says shorter is better. Steinar Knustsen says short. Rob Birgfeld says keep it short, stupid. James Chartrand says it works. That's 100 words and I'm already tired. But if I write 100 more, perhaps I'll hit some magic number and make my point. Blog posts should be short. The shorter the better (but more than 100 words). Never mind that other thing. You know the one. Writing short is lazy writing. Writing tight, on the other hand, takes discipline. It also assumes you have something to say, at least something worth more than ten minutes of writing before spamming everyone in your social networks. Please don't misunderstand me. I'm not advocating for long posts either. The right length of any blog post is precisely the length it needs to be. Not a sentence more or less. For example, this post now includes 250 words. And it's still not right. How did short writing come into fashion anyway? The same way all "short" rules come into existence. Boorish writing. Boorish writing is why corporate videos are limited to three to five minutes (make that two minutes), news releases are confined to one page (skip it, just pitch it). And ad copy turned into some cheeky image of a skinny chick holding up a product. When writing starts to fail, we just want it to be over. Case in point. Go back for a minute and reread any of those posts that claim short is better. Could you stand any of them if they were even one sentence longer? Probably not. I could even make the case that some of those take too damn long to make the wrong point. The trick is to toss the entire question of length out the window. A good book makes you lament when it's over and long for another. A good movie can make you wonder where three hours went even without an intermission. 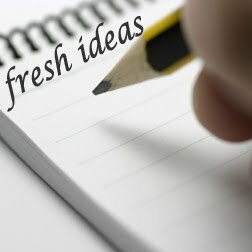 A solid post or article might make you think of so many new ideas that you can't fathom what to add with merely a comment. And even this post, at around 600 words, might stick a bit more than those who stuck you with their short post arguments. But even if it did not, that's all right. I'm unconvinced that this paragraph is the right ending. It might be more worthwhile to leave you something new to think about. Don't think about short. Think about tight. Writing tight is the art of readability. It changes little annoyances like "he stated" to "he said" or "it is our company's practice to" to "we try to" or it "must be returned to this office" to "please return." For posts, especially, it's about chopping unnecessaries down to how people speak: "at the present time" (now), "due to the fact that" (because), and "are of the opinion" (believe). Words are tools, you know. Their job is to convey thoughts, not obscure meanings. Collections of words work the same way. The real secret to solid writing is never to confuse simplicity with condescension. Your goals ought never be to save yourself time, improve your back links, or double down on the frequency of your posts. All those tips do is make the post about you. It's not about you. All words are a direct conversation with your reader. If you care about them, then it is in their best interest that you invest as much time as it takes to make a point, make it clearly, make it concisely, and make it in such a way that they might stick with them longer than those popular and equally forgettable quick-serve social snacks. And then what? Well, once you accomplish that ... you stop, without any worry that you broke 800 words several sentences ago. Every few days my son mentions it. He isn't very fond of his computer class, even though he is very fond of computers. "I have no faith in our future, knowing your generation will one day run this country," his computer science teacher frequently reminds the class. "Things are going to get worse, much worse, and you're not up to the task. I might go live in the wilderness." My son is in the sixth grade. There is a fine line between critical awareness and learned helplessness. His teacher isn't alone. There are plenty of people who claim everything is broken beyond repair. Sure, the existing social-economic-political climate could exacerbate the challenges ahead for this country and the world. At its best, people probably expect the continued erosion of the middle class. At its worst, well, it's just the worst. Then again, in 1970, a Nobel Peace Prize recipient predicted a similar fate, with overpopulation set for 1990 (Lawrence Journal-World). In 1952, Allied commanders were concerned that Japan had already exceeded its carrying capacity by 25 percent (United Press). In 1920, newspapers published articles about overpopulation in Europe and estimated America could only sustain 250 million people (New York Times). Overpopulation isn't alone. You can easily trace all of our current hot topics back for decades and centuries. Education failings to the 1600s. Class warfare to the 1700s. Catastrophic pollution to the 1800s. The end of the world to the 1900s. Climate change to the 1930s. The key word here is "easily." The truth is that these conversations are as old as civilization. The only difference is that some people seem not only inclined to accept it but think we somehow deserve it. 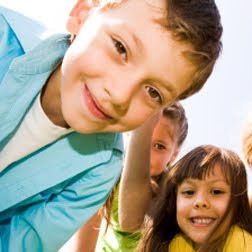 And it is this, more than any measure, that concerns me because the burden is heavy to place on the heads of children. Based on test scores and graduation rates, it might even be that they are starting to believe it. While my son shrugs it off, mentioning that every day he doesn't have that class is a good day despite having an A, some of his friends do not. Some already exhibit the symptoms of learned helplessness. Not only do they believe the world is getting worse and they aren't up to the task to fix it, but a few of them believe that even if they could afford to go college they won't be able to make ends meet (not in those words, of course). They're in the sixth grade. There are critical components to a better life, none of which include cash or status. When some teachers feel a need to commiserate with sixth graders, I kindly remind my son that while some people would like to see it differently, he is still the master of his destiny. So far, he is the only person that can enslave himself to circumstance. • Education. Most people know that for all the good Leave No Child Behind might have done, it is being misapplied at the local level. Teachers and schools invest too much time attempting to pad tests scores and not enough time making sure that the students can apply what they learn. The socio-economic gap might be tightening, but it is tightening in the wrong direction. What works better than memorizing math formulas cold is cross-curriculum education that applies math to future occupations like business, engineering, mechanics, and rocket science. What works better than memorizing parts of speech off poorly written study sheets are lessons dialed in to history, world events, and literature. What works better than reward-based programs, "spirit" periods, and teaching kids how to "guesstimate" answers are critical thinking skills and a lifelong love for learning. • Empowerment. No matter how teachers, parents, or role models might perceive the future of this country or the world, the pursuit of happiness only requires people with a passion to be exceptional. It doesn't matter how they define it. Exceptional comes in many different forms. I would count several youth-managed recording studios among them. Two of the newer studios struck me because one of them was started in New Jersey by a 17-year-old student. The other was started by two teenagers, ages 14 and 15, in Baltimore. The latter reports many participants go on to pursue business degrees. The challenges some of them will face have little to do with the business climate. There comes a point when even the best intended business regulations simply become barriers that makes it impossible to start one, especially with capital reduced by taxes and labor laws that make every employee cost two-and-a-half times their pay scale. • Self-Worth. I recently read an article that proposed the individual doesn't matter. Martin Luther King Jr. might disagree. Every individual deserves an opportunity to be treated as an equal without any preconception that they might have limitations. For the people who preach that, I might ask that they walk in and work at any homeless rehabilitation program. What they will find is that the first steps toward rehabilitation are to let go of guilt, recognize they deserve a better life, and then be given the opportunity to regain their confidence to try. Beyond that, they learn there is no dishonor in being an educated janitor. (My father-in-law is a retired educated janitor; my grandfather was an educated painter.) The world needs janitors to be the best janitors they can be, even if they study quantum physics in their spare time. Or, as some authors eventually prove (with Charles Bukowski in mind), there might be more to a person than sorting mail. This might seem one off from the topic, but it really isn't. The first step is still communication. People, like my son's computer science teacher, aren't very mindful about the impact they might have. So I might offer a few facts for him to consider. North America is still home to the most millionaires, even though some rapidly-developing countries are starting to produce more than this country does per year (although we still produce some). The United States still logs more international patent filings every year (almost twice as many as the next closest nation). And the United States is responsible for more medical breakthroughs, even though the cost of care drags down global quality ratings. That's not to say we're perfect. But with the exception of education, we still manage to add value and help fuel economic growth in other countries too. I'm even optimistic to think that some of our greatest accomplishments will be ahead. All we need are more problems and fewer problem protestors. Thank goodness we have some in the sixth grade. And younger. Every writer has a punch list of sorts. Elements that help them transform good writing into great writing. My punch list consists of five — accurate, clear, concise, human, and conspicuous. I don't always hit the mark, but that is what I shoot for on good and great days. Many of these characteristics seemed to fit in while running the Fresh Content experiment. However, there were some other qualities — originality, insight, and an expansive view — that added quality to the content we read. If you want to become a better writer, someone who offers up quality content on a regular basis, these seem to be among the top five characteristics of quality posts. Almost every fresh pick post during the course of the experiment included them. While there were exceptions (especially the fifth point or on particularly slow days), the majority included these five characteristics. The Five Characteristics Of Quality Posts. 1. Accuracy. The content has to be accurate in terms of what it is trying to teach. And the most common failings in communication lessons tend to happen on two extremes — overt generalizations and elevating exceptions. 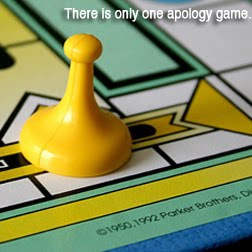 For example, we had little patience for top ten lists that included rules such as limiting every post to 250 words. It's not true. Economy of language has nothing to do length. It has to do with telling a story in the right amount of words. Conversely, we're hardly convinced that every viral video needs to look amateurish because one or three or fifty examples did. There are hundreds of videos that prove the opposite. This is one of the failings of best practices in general. While they can be useful, circumstances and outcomes vary. 2. Originality. The content had to be original, with originality taking two forms. It had to be original in that it couldn't steal the best content from several solid posts without attribution. And it had to be better than a "pile on" topic post. Although I've known it to exist, plagiarism is surprisingly common among communication blogs, even popular ones. It becomes more obvious when you're scanning several hundred. We had no patience for it and dumped any blogger from the list when it became obvious their spun content was something more than collective unconscious. Pile on posts are different. There comes a point when you have to ask yourself if the world needs another Kenneth Cole Twitter post. Unless you have some exceptionally unique insight to offer on the topic or want to refute a colleague's conclusion, let the media follow the media. 3. Insight. More often than not, posts that tended to rise to the top offered exactly what I mentioned in the second tip. They frequently went against the grain because better communicators gave considerable thought to the communication challenge. There are dozens of examples that pulled from the greater collection of fresh picked posts last year. A few that come to mind include The Flow of the First Mover by Ike Pigott, which fused analogy and truth; Digital Case Studies: Punch Pizza by Arik Hason, which adds analysis to a promotional success story; and The Five Ways Companies Organize for Social Business by Jeremiah Owyang, which detailed communication structure not unlike we did for fan groups a few years ago. The primary point is that playing follow the leader like the media often does isn't very valuable unless you can add something else to the story. For example, while everyone was writing about the Gulf Coast oil spill last year, I always tried to focus on less covered topics related to the crisis. On the front end, I didn't write about the topic du jour but rather how all stakeholders were handling the communication differently. 4. Humanity. Throwaway posts and bullet lists usually don't include any semblance of humanity. They're not memorable. There is much more power in sharing a singular story, especially when the story telling is as unique as the content. Last year, Erin Greenfield shared her first-hand experience at creating a promotional video; Rachel Kay shared her thoughts on how people react to earthquakes; and Geoff Livingston saw the damage caused by the oil spill first hand. You can't fake the passion exhibited by each author. There is no formula. While it's unlikely to happen every day someone sits down to write, there is something to be said about finding the passion and purpose in the topic you want to cover (and by that I mean beyond any organizational objectives). Don't just write about what you know — write about what makes you passionate. And, when your personal interests don't fit the organizational goals, look for links that help tie them together. 5. Expansive. Too many myopic posts become boorish. It's one of the reasons why links generally lend a little more to any story. It shows evidence that the author isn't considering their point of view to be absolute and helps create content with more depth in fewer words. While there were some exceptions, the greater majority of fresh content picks were inclined to share supporting and conflicting points of view. It might be worthwhile to point out that this wasn't a condition for inclusion, but rather a post-experiment observation. One thought of caution: Simply dropping in links to draw the attention doesn't work in the same way. The links included have to be as thoughtful as the content. All too often, we had to brush aside posts that recapped the same private bubble lists that raved about the same three people day after day after day. Sometimes I was tempted to leave a comment — you're friends through thick and thin, we get it. There are no rules to social media. I might like to stress that these five all provide a solid guide, but there are no rules to great writing (blog posts included). And while there is something to be said about design, positioning labels, post times, and share times, focusing on quality content will pay higher dividends over the long term than over analyzing all those details some people prescribe. I also hope this helps guide some of the people who have asked me to share "all" the blogs that were included so they might learn what not to do as much as they can learn what to do. While I will be including a master list of all those picked some time after the fifth lesson next week, I'm hesitant to include those who were never picked because the intent was never to disparage, popular or not. This is the fourth lesson from the Fresh Content experiment, which tracked 250 blogs for almost a year. The experiment focused on the quality of the content and not the perceived popularity of the authors. Jay Rosen has contributed a nice round- up of posts that brings some balance back to the debate of whether or not social media helped topple a dictator, so I won't bother. (Hint: It's not a yes or no answer. It's not even the right question.) There's a better topic, even if some of it overlaps. And yet, she is the person who posted a status message on Facebook, not Twitter, saying that she was going to Tahrir Square. 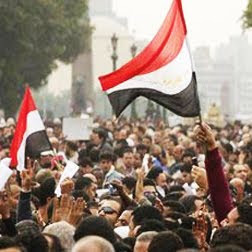 It was also her video that resonated with the Egyptian people. And it resonated not because she appeared to be somebody but rather nobody, much like them. Here is the video if you haven't seen it. You can read one of the earliest stories about her contributions here. You make the call on the source. There are others. Thousands in fact, including The New York Times, which included that her video motivated men even more than women. Real influence often belongs to nobody at the right moment. Sure, I understand there is some hubbub about whether social media played a role or not, even if most of it was preemptive push back. I call it "preemptive" because the people Rosen criticized for the push back seemed to be reacting to what they thought people would say. They thought people would say "social media toppled a dictator" because they did say things like that about Tunisia. Mike Masnick addressed it too, perhaps even better than Rosen. The better question is what can we learn from Mahfouz about influence? And what does her role say about those who cater to somebodies as opposed to nobodies? I think the answer predates social media. After all, Rosa Parks didn't need Twitter or Facebook or even an Internet to give up her seat on a bus in Montgomery, Alabama. Right, there were others before Parks (much like there were others before Mahfouz in Egypt). But unlike the disobedience by Parks in 1955, no other individual action sparked the Montgomery bus boycott. Hers is the story of the right action, the right message, the right time, and the right nobody. Someone who unexpectedly turned out to be one of the most important somebodies in the civil right movement. I suspect the same could be said about Mahfouz, whether or not she had Twitter or Facebook. The only difference is that the new tools speed things up. For Parks, it took 24 hours before her story (originally printed and circulated on a flyer to the local black community) reached Reverend Martin Luther King, Jr. and even longer for the Supreme Court ruling (Browder v. Gayle, 1956). Hundreds of years earlier, it took months before the iconic Paul Revere depiction of the Boston Massacre to circulate before enough people saw it as a rally point that sparked a revolution six years after. Hundreds and hundreds of years before that, Spartacus did not even have the benefit of a printing press. All told, there have been hundreds of notable and historic revolutions and rebellions all over the world well before social media. And, I suspect there will be hundreds more long after social media is replaced by some other sweeping form of communication. The tools, no doubt, will continue to change. But what will remain is that revolutions, uprisings, and rebellions are most often sparked by nobodies, regardless of the communication tools at their disposal. They are not sparked by nobodies who turn into somebodies, who then turn their backs on the rank and file of nobodies from which they came. And this, more than any other lesson, is why we ought to be more cautious about influencers. They are only somebodies under constant threat of losing the authority granted them by the fat and happy mass of nobodies. However, when those nobodies feel less than happy, they are also the ones who may one day unexpectedly change history in ways we can never imagine. In ways that Mubarak never imagined. In ways that George III never imagined. In ways that Roman republic never imagined. Nobodies define history, even when they are obscured by it. Not all of it has to be confined by revolution or uprising. Sometimes it can be a simple act of incredible heroics. Case in point. Ronald Reagan is rightly credited for setting the environment in which the Berlin Wall came down. However, he could have never delivered that speech if not for the action of the nobodies — Jerry Parr, Thomas Delahanty and Tim McCarthy (and others) — who acted heroically and prevented an assassination attempt. Those men, and also the mass of nobodies responsible for the intense East German protest in 1989, made it happen. One of the world's most influential super powers was suddenly powerless. I don't mean this as a rub against Reagan in the least, but there was a time when he was considered a nobody too. Ironically though, what seems to separate him from a some people who climbed up the ranks of social media, I think, is that Reagan never forgot it. Other people do. Companies do. Organizations do. Organizations needn't bother looking for and empowering influencers, tiny tyrants of their respective spheres. They ought to consider how they can work together with hundreds and thousands of the right nobodies who just might change the world. Old school media is gone, but that doesn't mean we need to erect new media based on old ideas. It's one of the many reasons Seth Godin was wrong when he wrote about tribes or Shel Israel about villes. Social media is still populated by nomads, hundreds of nobodies with the potential to be somebody (and nobody again) in the blink of an eye. Just like life, offline. Influence is a fragile thing, you see. And the tools — a mass following of people you think agree with you or a paid army of one million — change nothing. It all ends the same for those who forget where they came from. The most influential man in Egypt might wake up to find he has nothing more to say because a nobody girl like Asmaa Mahfouz captures the hearts, minds, and sentiment of how people feel. It's the kind of outcome organizations might think about. It might seem easier to prop up someone who can dictate. But sooner or later, it will be the mass of nobodies beneath them that decide whether to protect your company or buy what you are selling. Because once the influencer is gone — bought out, burnt out, retired, run out, or proven a fraud — you might find yourself asking tough questions like the United States is asking now. Do these people want our definition of freedom or just freedom from us? Were you listening? Getting Attention: Is Online Popularity A Great Big Lie? More than anything else, exposure remains the number one measure for Internet success. Facebook page managers want more fans. 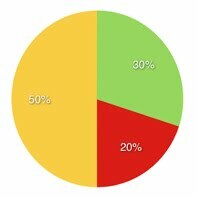 Twitter account holders want more followers. YouTube producers want videos to go viral. Bloggers want more traffic. More, more, more. But more is not always better. If exposure is the measure, then the biggest losers are all winners. There are thousands of examples. Here are a few. Nestle learned that fan pages could become a billboard of outrage on behalf of critics. Kenneth Cole exhibited no empathy for Egypt on Twitter. With 1.4 million views, Microsoft wins with this video gem. And Kathy Sierra would have never quit blogging. Great marketers know that they don't have to convince everyone to love the Ford Taurus. They know that they only have to find people who like the features that the Ford Taurus offers. Likewise, Christina Aguilera wants to be known for her singing. Right now, people are more likely to know she blew the National Anthem at the Super Bowl and tripped at her Grammy performance. More only works for vanilla. When you give coffee-flavored ice cream to kids, they make funny faces (so do I). 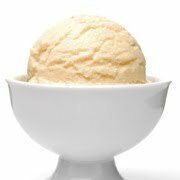 But that doesn't mean we always have to serve vanilla, the most popular ice cream flavor. We also don't always have to eat pepperoni and cheese pizzas, which account for 25 percent of all pizza sales. And we don't all drive white cars, which is the color 21 percent of car buyers prefer. It seems only social media gives more value to popularity than personal choice or quality content. People watch videos that are watched, like Facebook pages that are liked, follow Twitter streams with followers, and leave comments on blogs where they "think" more people will see their comments. Ironically, most of those leaders tend to offer exactly what you might expect. Vanilla, pepperoni, and white. In tracking about 250 blogs, daily, for almost a year, we found popularity to be the biggest lie of all in democratizing the Internet. Of all the communication blogs we covered, those at the top of the Advertising Age 150 underperformed with three in the top ten failing to produce a single post that could be called a best fresh pick of the day (note: not all Ad Age participants were tracked). That doesn't mean they are necessarily bad blogs, but it does mean that they serve up more than their fair share of vanilla, pepperoni, and white. The placement of the top ten fresh picks show how far off that list can be. Of those those that we picked with regularity, Valeria Maltoni is ranked 25th; Geoff Livingston is not ranked; Ike Pigott is ranked 607th; Lee Odden participates on Top Rank, which is ranked 10th; Jason Falls is ranked 15th; Adam Singer is 83rd; Ian Lurie is not ranked; Danny Brown is 23rd; Maria Reyes McDavis is not ranked; and Bob Conrad is not ranked. Advertising Age isn't alone. The few communication-related blogs that make it into the Technorati top 100 rank underperformed too. PostRank, which relies on activity, didn't prove to be any better of a measure. And neither did SEO, which is one of several reasons Google is trying to fix its algorithm. Specifically, SEO proves a site can lead people to it, but no indication that people will find something useful when they land. And, that other popular consideration — bounce rates — tends to mislead. People only look at one or two posts on blogs; those that pertain to their topic of interest, which is usually aligned with the topic du jour. Few people go back and read the same ones again. There was only one measure that seemed solid. And most people overlook it. People tend to savor of the quality that comes with being different. Time on site. The most popular bloggers hold people's attention for about two minutes and those minutes are sometimes spread across as many as three or more pages (and that includes time for people to leave a comment). Higher quality posts tend to hold people for about four to five minutes (based on real time graphs, not averages that are also misleading). Even among blogs that were picked for one or two posts during the year, we noted small surges in the time people spent on the fresh pick post compared to other posts read. This held true even for fresh pick posts that didn't draw very much traffic. Those posts were enjoyed by the traffic they drew. And that makes all the difference. It reminds me a little bit about the Twitter stunt shitmydadsays. Two million fans with long gaps between tweets and never a response. Did they ever read the book? It starts out as if it could be funny, but never delivers. And yet, it's triteness is offset only because it is vanilla. It's perfect for a television series on CBS, even though it lost 25 percent of its audience after the first show. It has a balanced following now, being saved by William Shatner. That's how it goes sometimes. Did you ever consider that nobody boasts about eating vanilla, ordering a pepperoni pizza, or buying a white car? Not really. They may mention it in the moment, but the memory of commonplace isn't all that memorable. And, when you think about it, if the content (not the personality) isn't memorable, then how could it ever be influential? Quality content makes people think. This is the third lesson from the Fresh Content experiment, which tracked 250 blogs for almost a year. The experiment focused on the quality of the content and not the perceived popularity of the authors. "We need six to seven articles a day with 200 words each. $15 per story. ... Ten articles, 400 to 600 words each, three key word links, and level one and two "spun" versions. Less than $500. ... Ten articles, 300 words per article, $200. ... 100 short customer review submissions, $50. ... Ghost articles, 100 words, $3 per article for content farms submissions." These are actual freelance writer solicitations, taken from several freelance markets online. Consider it a welcome to the world of digital content, where amateurs are writing for as a little as $10 per story or a few cents a blurb. Some of them make nothing at all. Many of them will never see a byline. And even for those that do receive a byline, their stories appear nowhere in particular. Worse, the majority of offerings aren't about original writing anymore. Almost half of the proposed work is for "spinning content," which is the catch-all term for rearranging paragraphs and using a thesaurus to make the same articles sound like different articles. Right. Some publishers want to automate the process so they receive ten stories for the price of a fraction of one. They'll get plenty of takers too. The amateurs are desperate enough to outbid each other to oblivion. Expertise is nonessential. Proficiency is in the eye of the beholder, sort of. Content mills, or content farms as they are called, are not just about little companies or shady operators anymore. It's becoming a standard practice. AOL asks its writers to produce as many as seven articles a day to drive its hit-and-run visits primarily from organic search engines and others try to eek out $15 for 100 words that make it past the black hole. Yet, AOL had $315 million laying around to buy the Huffington Post. Yahoo too. It recently bought a content mill, hoping to cash in on Google traffic. At the same time, these rates can be considered generous. Plenty of e-zines and news sites convince writers to work for free, offering the favor of exposure, appeasement of their vanity, and the promise of future "influence." All of these terms are nothing more than the newest carrots in the marketplace of quick content, inflated opinion, and illusionary traffic. No one is exempt from receiving these offers either. I recently had someone I thought was a friend ask if I wanted "to be considered" to volunteer time for their upcoming paid subscription e-zine. It wasn't the first time. It likely won't be the last. I sent them a video of Harlan Ellison. The context might be different, but the sentiment is the same. If the publisher can make a living off what the writer writes, then the writer can make a living too. What Ellison doesn't consider in the modern age is the effect on unsuspecting readers. People assume the content they are reading has some sort of vetting process, especially when it comes from big brands. A growing percentage of it has very little. The content is nothing more than people plunking on keyboards in a virtual sweat shop. The cheap content has another side effect too. The goal is to generate an ever-increasing mountain of slush that can be spammed across social networks and capture search traffic. You can see it everywhere in the news today. Half of everything reported is speculative, designed to capture our attention long enough to click on a link that refutes its own headline. Of course. 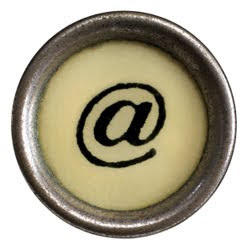 In many cases, some amatuer-publisher arrangements make pay-per-post writing and Twitter perks look like gravy trains. And yet, the companies adopting content farm approaches are the same ones that question the ethics of pay-per-post schemes. Can you imagine? They paid a writer $3 to question the ethics of another writer who accepted $150. What writers need to know before they jump into the profession. No Experience. While there may come a time when no one asks for clips or samples, amateurs do have to start somewhere. They need about five clips and samples. There is nothing wrong with writing a few for the favor of a byline or, assuming the publisher is reputable, working on speculation for the right acceptance rate. Even so, no one is going to be impressed by poorly edited clips under 200 words. You'd be better off publishing a blog, assuming you have some talent. Topic Passion. Sometimes you might want to cover a topic that is near and dear to your heart, perhaps even an article that helps generate exposure for a nonprofit. It's an admirable pursuit, even if whatever you are passionate about isn't related to charity. That might even be what you are hoping to achieve — a forum of sorts, now and again, without starting a blog. Promotional Purposes. You own or work for a company or already have your own blog. Writing the occasional guest post or agreeing to a temporary cross-post endeavor sometimes serves as a nice introduction. But you have to make sure it makes sense for you and your company or your blog. All guest posts ought to be accompanied by a bio and direct link somewhere. Even then, choose carefully. Not every promotional opportunity is worth the time it takes to write something. Personal Favor. In the same vein as promotional, writing an occasional guest post for another blogger because they don't want their blog to go dark while on vacation is a nice gesture. The relationship exchange rate usually works both ways. Mostly, it only makes sense when you have a commodity or service or blog in the first place. Sometimes you might even help someone start something, but never do it if you expect something in return. It's a favor, nothing more. Community Passion. Maybe you belong to some community and want to contribute something. There is nothing wrong with it. Sharing between friends and people with similar interests is much like bringing a pot roast to a pot luck. Just keep in mind that every social network has its own rules of content ownership. Be very wary of any network or service that claims all rights, especially if they supersede your own rights. While there might be a few other special cases, there aren't too many good reasons outside of these five. Expect some people to try and convince you otherwise. Ninety-nine percent of all offers that promise "more work in the future" are lies. Unless it is in writing, no one will ever give you stock in a start-up company or publication (and even if they do write a contract, consider such offers with the skepticism of an investor). Accepting a reduced rate to help someone during a rough patch (or extending excessive credit) is money that you ought to consider lost revenue until proven otherwise. It might sound cynical, but it's reality. The difference between a professional and an amateur is that the professional can produce something that people want and the amateur has to convince people that they can produce something people want. Having worked on both sides of the fence as the vendor and client, I learned most of it the hard way. Sometimes two or three times. You don't have to. So what is a fair rate for freelance writers? When I owned and published a limited subscription international trade publication, we paid $300 per 700-word article, which was 30-50 percent higher than publications with similar circulations at the time, regardless of where the writer lived. More recently, I asked two writers if they would volunteer to write for Liquid [Hip], but haven't given them assignments because it conflicts with my belief that writers deserved to be paid. I don't have a budget. I ran into the same conflict a few years ago too. I passed on a lucrative offer to become an editor and co-publisher of what seemed to be a well-financed online publication. Negotiations broke down because I wanted to pay writers and they wanted to appeal to the willingness of amateurs to crank out free content. No hard feelings. We're still friends. At the same time, maybe amateurs need to know that professional freelance rates for copywriting range from $45 to $150 per hour, web content from $40 to $100 per hour, and technical writing from $50 to $100 per hour. Two hours per half-page is a fair estimate of time, with adjustments for research, interviews, and revisions built in to the estimate. Some writers do charge more, but anything less is amateur. Too much amateur work will only keep you there. By the way, some material, like print ads and outdoor, take more time, regardless of how many words. Ergo, it often takes more time to write less. So expert magazines often pay less than those rates above, with the low approximately $150 for 600-750 words. Anything less, regardless of praise, should convince you to look at what kind of revenue they generate, how nice their offices might be, and what kind of cars they drive. Why? Because you might be the person who affords them those luxuries. Related articles on quality content and content farms. • Content Farms And The Death of Remarkable Content by Lisa Barone. • Four Ways To Improve Content by Geoff Livingston. • Mahalo’s Calacanis: Time To End The Content Farm Arms Race by Danny Sullivan. • I Worked on the AOL Content Farm & It Changed My Life by Marshall Kirkpatrick. • Blekko Bans Content Farms Like Demand Media’s eHow From Its Search Results by Erick Schonfeld. According to Motor Trend, the average age of a Chrysler buyer is 62. The average age of an Eminem fan is about 24. The average age of an advertising executive is about 36. The average age of a journalist is about 42. While Volkswagen easily won Super Bowl pre-buzz, it seems the Chrysler ad (more often called the Detroit ad, Motor City ad, or Eminem ad) by Portland-based Wieden + Kennedy is catching the most post-game buzz. More than 2,000 news organizations have mentioned it. More than 3.7 million people have viewed it on YouTube. Both Edmunds and Chrysler reported surges in searches for the brand. But does the buzz-up alone make the measure of the ad, especially because much of the attention is marred with curiosity and confusion? Maybe. Maybe not. Watch the spot and then consider both sides of the same Motor City coin. What worked for the Chrysler advertisement. • Production. By most measures, the production value is on target. It's a stylized mood piece that borrows some of its feel from Gotham City (even if Gotham is based on New York City with a Chicago toughness) and ample inspiration from past Nike commercials. The tight shots on some iconic symbols in Detroit work too; as does the slow reveal of Eminem. The copy is honest, garbled, and unapologetic. And while some people have questioned whether Detroit can claim to be experiencing a resurgence, no one questions that Detroit natives have an underlying sense of pride. Some might even say that it was this same pride that convinced Eminem to accept the gig. I don't think he sold out. • Nostalgia. Although most Super Bowl commercials passed on what's proven to be the most effective television commercials for the Super Bowl, Wieden + Kennedy stayed true to them, with an emphasis on nostalgia. This is one of the underlying reasons for the appeal. The ad doesn't only resonate for what people want out of Detroit. It resonates for what people want out of America. People are weary and generally feel beaten down by constant a rehashing of the country's considerable challenges. They want someone tough enough to get the job done. The spot taps the need for better leadership and a pull yourself up attitude. • Eminem Appeal. Of all the songs ever cut by Eminem, Lose Yourself has universal appeal. People who don't generally like hip hop or rap genuinely like the song. The instrumental alone is enough to pique interest. On iTunes, it remains his number one (explicit) and seventh (clean) most purchased song. 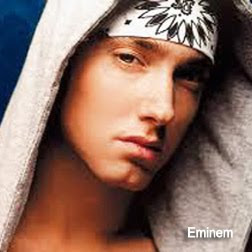 It was made famous in part because of its inclusion in 8-Mile, the underdog movie about Eminem. Only the recent hit Not Afraid comes close to having as much crossover appeal. And his presence in the commercial almost convinces me that he might outsell the product placement in the Detroit spot. What didn't work for the Chrysler advertisement. • Confused Demographics. There is nothing wrong with an automotive company with an aging buyer trying to infuse some youth into its brand. Having worked on campaigns for Lincoln and Mercury in the past, I appreciate the challenge. However, when the commercial aired during the Super Bowl, I noticed agency creatives and communication professionals were much more likely to rave about it than the non-industry people I follow on Twitter. That could be a concern. If the ad plays better to industry professionals than anyone else, Chrysler will be more than disappointed as the 200 is not an industry car. • Brand Eclipse. While the advertisement has earned considerable buzz, the headlines reveal something else. As mentioned earlier, the advertisement is just as likely to be called the Detroit spot or an Eminem ad or a combination of those two, sometimes pairing it with Chrysler. Of the three brands, Chrysler is clearly the weakest. And I suspect that it doesn't help that it is owned by Fiat, an Italian company. Even worse, days before the $9 million spot aired, Chrysler CEO Sergio Marchionne had to apologize for describing the $12 billion U.S. bailout as a "shyster loan." • Curiosity Buzz. The commercial shows so little of the Chrysler 200 that people have no choice but to look it up. The curiosity will be short lived as people discover the truth. Reading Edmonds' review of a refreshed Sebring worthy of consideration doesn't hold the same excitement as the commercial. Wieden + Kennedy clearly over promised. Over-promising in an advertisement raises awareness but it also drives up negative impressions. In fact, in reading a cross section of reviews, I was disappointed to discover the best feature is the price point. But even that promise seems silly. Few people will want to drive that much ugliness with a cost-saving four-cylinder automatic. It begs the question. Who cares if you pique the interest of the mid-sized sedan buyer (average age 41) but fail to deliver what they really want? I can write a commercial that promises McDonald's will add steak to its menu and drive buzz. But it is patently irresponsible for an agency to do so without any concern for whether people will figure out the steak is still a Big Mac. What the people who appreciated the commercial really want. It's painfully easy to appreciate what people want: The ability to break free from adversity, retain some semblance of attitude as they age, praise artists who are willing to stand up for their cities instead of gripe, and for Chrysler to succeed as a tough-as-nails innovative American car company so it can pay off those "shyster loans" and employ people. That is the dream. And Wieden + Kennedy delivered it brilliantly. The only problem is that they delivered a dream that their client cannot deliver. Haven't you noticed? 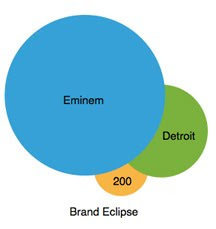 People aren't talking about the Chrysler 200 (formerly Sebring) as much as they are talking about Eminem and Detroit. And that's the real lesson of a mixed brand commercial. As an Eminem for Detroit commercial, most people are all in; as a Chrysler commercial, it only underscores that the most dangerous assessment in the advertising industry is "I like..."
"I like" has nothing to do with it. The phrase we're supposed to shoot for is "I buy." Revolutionizing Social: Does Activity Equal Experience? A few days ago, Arik Hanson called it right. Anyone who looks up David Mullen will find less social activity than they might have found a few years ago. Does that mean David Mullen no longer understands digital marketing? Not at all. As Hanson points out, he has different responsibilities. And tracking about 250 blogs, daily, for almost a year, we found Mullen is more often the rule than the exception. For example, the Decker Blog is relatively light on content and two of the authors have a minimal following on Twitter (without custom backgrounds no less). Yet, Kelly and Ben Decker still managed to co-write a well-read post on the top ten best (and worst) communicators of 2010. Between October 2010 and January 2011, Bill Sledzik, associate professor in the School of Journalism & Mass Communication at Kent State University, took one of his frequent social media leaves of absence. Rob Reed doesn't post or engage with a byline very often, but that doesn't make him less than a founder of Max Gladwell. It might make you wonder. Does taking time off, shifting priorities, or working behind the scenes as opposed to being a visible participant make a difference in social media? Perhaps in perception, but not in practice. If the Old Spice campaign taught us anything about social media, it was that an advertising agency might understand social media without an active presence. In fact, it seems to be another rule and not an exception. Most major social media brand successes that social media experts talk about do not come from social media experts at all. They came from communicators and business owners who happened to include social media as part of their mix. Old Spice is only one example. And while I had a much more tepid view of the campaign, most experts called it the best social media campaign despite the producers of it not measuring up to their own activity-based social media standards. A revolutionary way to look at online activity, experience, and influence. During the American Revolution, many people played many different roles. Thousands of people rightfully earned the moniker, including more than 100 as signers of the Declaration of Independence and/or United States Constitution. However, we don't remember all of them. We remember a few, which is based more on the degree of their influence as opposed to their activity. We picked four names to demonstrate the distinction. And while the specifics might vary, their historical status is remarkably different. 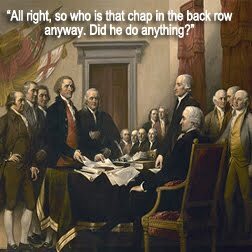 But then again, the founding fathers didn't meddle with definitions. They had more important things to do. • Authoritative Influence. 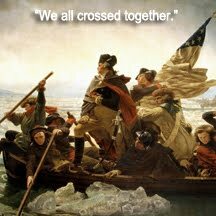 As commander in chief of the Continental Army, George Washington made decisions that largely influenced the course of the war. While he was also as statesman, his visibility as a statesman was secondary to the decisions he was given authority to make. Today, elected officials, judges, legislators, investors, and network owners can also set the course of a network or the entire online landscape regardless of authored participation. • Innovative Influence. Although he was the principal author of the Declaration of Independence, one of the most influential documents produced during the American Revolution, Thomas Jefferson wasn't necessarily an active author or publisher like many of his colleagues. By today's measure, he tended to write less but when he did write, his words were profoundly influential in that they often included innovative ideas that still have an impact today. • Persuasive Influence. Much more consistent in his writings than Jefferson was Thomas Paine, author of the widely read pamphlet Common Sense, which consistently advocated for American independence. Later, he would also move to France and became deeply involved with the French Revolution. His writing often set the agenda for others to follow. Some have even gone so far as to suggest without Common Sense, Washington would have raised his sword in vain. • Activity Influence. Samuel Adams is often praised as someone who had been steering his fellow colonists toward independence long before the war, and was frequently in the midst of the political affairs in Boston. 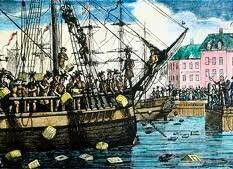 Like the majority of the founding fathers of this country, he is remembered less for his contributions despite leading many of the activities that led up to the Revolution, including the Boston Tea Party. 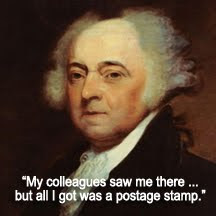 In looking at activity, Samuel Adams, second cousin to John Adams, was an active participant throughout, perhaps even more so than the founding fathers most people know by name. However, Washington was still the more suitable person to lead the army and Jefferson better suited to write the Declaration. What this might teach us is that activity does not substitute for formal experience or lasting influence, even if it sets the stage for events. It might make us reconsider activity as a social media measure all together. The seven personas of the activity in social media. The Fresh Content experiment captured varied online activity, beyond publishing content. It showed that the people who have the most experience are not always the people who are active, day in and day out. On the contrary, sometimes it showed the participant lacked education, experience, and expertise. It also revealed a subtle set of motivations between those who are the most active. Without assigning labels in a confining sense, these are the seven types of personas we saw frequently. • Professors. While not all of them carry the title "professor," educators tend to be passionate about the subjects they teach. They tend to be active in various networks, sharing their education and experience with students and colleagues, often balancing out the bad advice of others or providing attribution when someone doesn't know their idea is less than original. • Publishers. Whether they serve as editor or reporter for a firm, dedicated online magazine, or a social network, content publishers and providers are paid to develop content for their company brand while establishing their own presence. In some cases, they may develop some keen insights. In others, they can be likened to a music critic who can't play an instrument. • Peace keepers. Online community managers become exceptionally skilled in keeping multiple windows open at the same time. Some of them expand a personal network while managing the online assets of a company, network, or publication. In other cases, their job descriptions better match an online customer service manager than a communication professional. • Promoters. While their experience and expertise varies, there are dozens of people in the communication field that either use social media as a primary promotional tool for their firms or for themselves because their primary products are book sales, affiliate commissions, or paid speaking opportunities. • Preachers. There is a segment of communicators that are simply passionate about social media. They see the space as some sort of revolution to unhinge traditional marketing. Some would even outlaw advertising all together if they could, but only because they see any sale is exclusively based on relationships and every transaction the result of a personal connection. • Provers. A majority of professionals who become increasingly active in social media are attempting to prove they know social media. Some of them are attempting to launch a new consulting practice while others are looking to land a job at a firm that that might be dazzled by large follower counts and clout scores. Some social media firms never break away from this category. Neither do those who have nothing to prove, except to themselves. • Pretenders. Compared to any other category, these people tend to have one of the highest network activity levels, with some even leveraging social network monitoring tools to do the dirty work. They are generally one of two types. The occasional A-lister who produces more content than humanly possible by raiding lesser known bloggers in order to look like they came up with the idea first; and the busy bee, eager to please, but without any formal experience to generate their own ideas. They are easy to spot. None of these descriptors are meant to disparage (except the last, perhaps). And many individuals fall within two or three categories at a time. The real intent here is to help professionals distinguish just who they are listening to: An inexperienced egomaniac, a parroter of other people, or a self-promotor paid handsomely to work once a month in between business card books. Social network activity doesn't sort these people out. Likewise, social media measures don't distinguish from the general who ought to be running your campaign, the author who ought to write your white paper, the writer who might be best suited to add frequent content, or the wildly active independent who is important but never remembered enough for their contributions. Sure, there is truth to the wisdom in thinking that someone who professes to be a social media expert might engage in social media. Then again, the overstatement of this fact is misleading, given you won't find many advertising agency commercials on television or a steady stream of press releases about about every public relations firm outshining their clients. It's all relative. This is the second lesson from the Fresh Content experiment, which tracked 250 blogs for almost a year. The experiment focused on the quality of the content and not the perceived popularity of the authors. Most people have heard of Galileo (1564-1642) and some people have heard of Nicolaus Copernicus (1473-1543), but I'll provide a quick thumbnail refresher for anyone who might have forgotten. Galileo was an Italian physicist, mathematician, astronomer, and philosopher who played a major role in the Scientific Revolution. One of several reasons included his support of a theory proposed by Copernicus that the Earth not the center of the universe. It must have seemed a silly notion at the time. It would be several decades before Isaac Newton would formulate the theory of gravity, which basically meant people would fall off this little blue marble we call home. But mostly, it monkeyed up Geocentrism. Yet, against the tide of popularity, Copernicus must have looked like a simple idiot. Actually, he looked worse than that. He was censored as a heretic and was buried in an unmarked grave beneath the floor of a cathedral. Except, he wasn't a heretic. He was in need of a better telescope, like the one used by Galileo. Not that a telescope helped Galileo. He was persecuted too. What he really needed was a better communication model because most people, at the time, still believed the world to be flat (let alone the center of the universe). To appreciate why Galileo needed a better communication model, we must consider what his world must have been like. My guess is that it would have looked grossly disproportionate to the facts. Looking at a model, Galileo was a mere pebble. I even had to inflate his size so he would show up in a post. 1. Geocentricism loyalists. 2. Undecided and blind followers. 3. Copernicus detractors. 4. And then there is the whole of the greater world that does not care if we live on a disc, pillar, ball, or bouncy house. It's hard enough for them to remember to wash before supper. Can you imagine how many votes Galileo would earn on Quora? How many people would read his blog? How many people might follow him on Twitter? I doubt anyone would find him on Facebook. People were stoned and barbecued for less. What a dope. No matter, many people might say. Modern communication bears these things out nicely today. As mass communication took hold, people began to realize that there were three positions people with awareness could take. In the 1920s, for example, Walter Lippmann understood that journalism's role served people best when it acted as a mediator or translator between the public and policy making elites. Suffice to say, Lippmann would have read the Geocentricism argument and then read the Galileo argument and objectively reported to the masses that the guy with a telescope had a point. 1. Geocentricism. 2. Undecided. 3. Copernicus. 4. Bouncy house. For many years, this was the model that politics theorized about. The world is largely made up of people who are unaware. And within that unawareness is a smaller group of aware people with opinions. This made politics obvious, because if you shifted that middle by even a fraction of one percent, you changed everything. All you had to do is present the facts. In more recent years, there has been a shift in the way politics is handled. 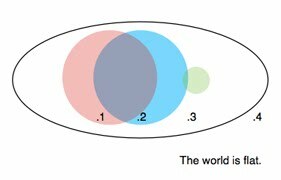 During the last couple of decades some strategists concluded that battling over the middle was becoming a bit boorish. It was ever so difficult to get anything done and nobody appreciated the compromise anyway. So some strategists developed a system to strengthen the conviction of loyalists, discredit the detractors, and shrink the greater pool of the unaware. Applied to Galileo, the two factions would have debated bitterly and nothing would get done, ever. Sure, I know what some people are thinking. What about the media? Aren't they supposed to balance this stuff out? They would have, but the media decided, for several reasons, that balance no longer means being objective. It really just meant giving polarized views attention, and then letting people sort it out for themselves, even if those people had trouble remembering to wash their hands before supper. It didn't take long for this view to change up too, as the middle slowly lost more and more of its buying power. When nothing gets done, people grow discontent. And sometimes, much like they did more than 200 years ago in this country, they start taking matters into their own hands. About 200 years ago, the tool was the printing press. Today, technology gave us social media. Unfortunately, the new model is a bit more complicated than a printing press. 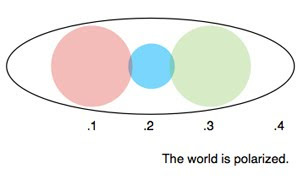 It makes much more apparent that each layer consists of not one sphere, but several overlapping spheres built on the connectivity of relationships that have nothing to do with the validity of the topic. Oh well, it still looks prettier. 1. Believe in bouncy house theory, but meet a Geocentrist at a bar. 2. Loosely related to a Geocentrist. 3. Geocentricism. 4. Benefit from Geocentricism. 5. 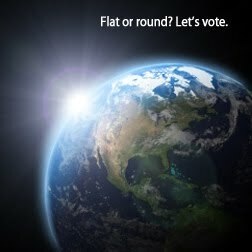 Undecided but owe a Geocentrist a favor. 6. Undecided. 7. Undecided but owe a Copernicus a favor. 8. Benefit from Copernicus. 9. Copernicus. 10. Loosely related to a Copernicus. 11. Believe in bouncy house theory, but meet a Copernicus at a bar. 12. Bouncy house. The advent of social media created an entirely new system based on this model. And as it developed, it wasn't long before some people realized that as their loyalist pools shrank, it was advantageous to connect with more people at a bar. They didn't have to know what you were talking about; they only had to know you. In some cases, it was probably better if they didn't know what you were talking about. The benefit of this model in Galileo's time would have been making decisions quickly and decisively. He would have gathered up everyone he met a bar, bathhouse, and local pond where the women did wash and then perform a head count, maybe even drawing a cow as an illustration to appease a crowd-sourced holdout. The Geocentricists would have done the same. And what do you know, simple math suggests that the outcome would have been the same as it was more than 400 years ago. How could that happen? It might be tricky to figure out, but only because the new model looks so much prettier. 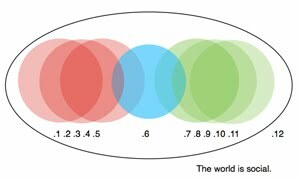 The model being employed by social today is the same model that was employed in the flat world. 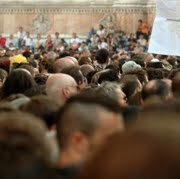 Except instead of an oppressive authority over mindless followers, we have popular authority over mindless followers. There is only a small benefit between the two. Galileo wouldn't be censored; he would be ridiculed instead. And while some might argue that he would just have to work a little harder to develop a bigger network of bar buddies, it seems like a pretty daunting task to chase down an idea that had a 1,000-year head start. I am sure Galileo might have given it a go. But nowadays, some experts are preaching the better solution would be to listen to the masses. He should have said we live on a bouncy house, they tell me. The only tiny little problem with that notion? 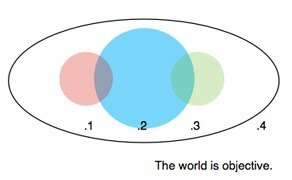 The world really is round, in case you didn't know. • What Are Influencers Good For? • Measuring Influence: 4 Learnings. • Influencing Nothing: Social Media Influencers.